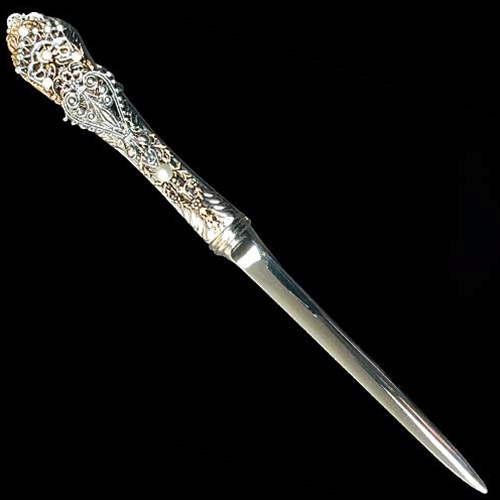 So I was sitting at my desk, perfectly organized and coifed; carefully going thru my mail, using my sterling silver letter opener when…. Okay. Actually I was juggling my phone on my shoulder, hopping up and down on one foot trying to close the fridge with my heel, calling Garrett to stop playing tug-a-war with a pair of marcus’ undies (okay – they might not have been Marc’s – happy now?!?) wearing dirty sweats. You know, just a normal moment. I ripped open an envelope and ZING – paper cut. Not fun, but after a moment I forgot all about it. I was squeezing lemon on my fresh spinach salad when… okay. It was calamari. Fried delicious calamari. But it really was lemon. And YIKES! My finger quickly reminded me of my injury. I looked down and could barely see a mark. But it sure burned! I had totally forgotten about it – but when the wrong thing touched it… it hurt all over again. Maybe even worse. When I fell I instantly knew it was broken. How? I don’t know – it was just a sudden understanding that this was not a sprained ankle. I immediately announced to Marcus “I just broke my foot” (not explaining exactly how I did this.) After x-ray confirmation I was placed in a giant hard walking boot. (I did, for the record, continue to wear heels on the other foot!). This boot told the world I had sustained an injury. People stepped out of my way, asked me kindly what happened (I threatened to start making up stories – the truth was just so embarrassing!) And strangers went out of their way not to jostle or bump or do anything that might cause me further pain. My “boot” announced my broken place. We don’t always have protective gear to cover our wounds. Many times we suffer alone. Sometimes we manage to forget it’s there until the wrong thing (person / words / situation) brushes against it and out of seeming nowhere an avalanche of agony. It’s easy to blame the “lemon” – but on an ordinary finger, lemon juice doesn’t hurt. It’s easy to be angry with someone who says the wrong thing and accidently pokes an old emotional injury. But when it’s not intentional, or they didn’t know you had a tender place… it is really not fair to blame them. Our wounds don’t always heal as quickly as we would like. Some need bandages and ointments and tender care. Others just need space and time. But we have to know ourselves enough to understand our own sensitivities and remember that others are much more likely to help than they are to hurt. When we get “stung” in a tender place – it’s silly to blame the lemon. But give grace to others when an offhanded or unintended remark hurts. Remember – they have their own paper cuts to protect. This entry was posted in Uncategorized and tagged dealing with others, emotional pain, Paper cuts. Bookmark the permalink. 2 Responses to Blame the Lemon! Wow! Love the truth spoken here. I pray for eyes to see this perspective –“It’s easy to blame the “lemon” – but on an ordinary finger, lemon juice doesn’t hurt. ” … and for God to continue to make me whole. I am grateful to God — even if some people decide not to walk with us during the process — that He will never give-up on us even if the job of transformation gets too messy. I love the sentiments you express in the last 3 paragraphs….I heard a pastor say at a recent marriage conference (or maybe it was a marriage book!) that we really need to look inward when we feel ourselves getting defensive about a comment that “stings” us somehow….it likely relates to something WAY back & if we pray for insight & wisdom regarding the situation we just might be able to heal that little cut from future stings. LOVE your analogy!